I just wanted to post on here to see if I could get some advice. 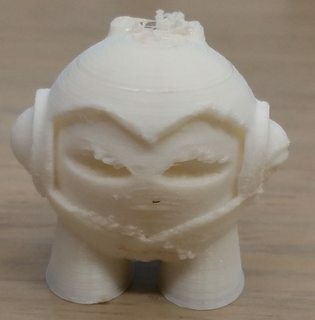 I've been trying to print the 3dhubs marvin figure but the print quality has pretty poor quality. 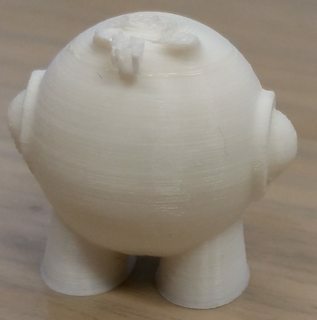 Note that I've been printing this figure without supports and with a layer thickness of 0.1 mm. I'm currently using a 0.35 mm nozzle. There is significant warping on the surfaces that are facing the back and right of the makergear. 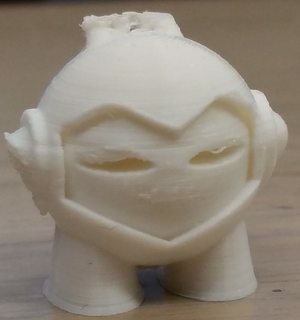 Here are a couple images of the marvin figure printed with the front of the figure facing the left side of the machine. The front of the figure turned out somewhat decent (I know it still could be better) but the right and back sides show a significant amount of warping. 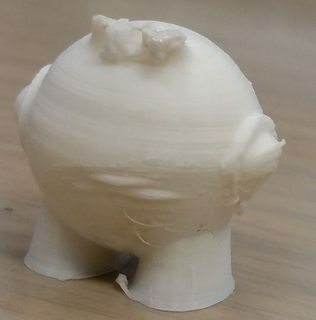 here are a couple images of the marvin figure printed with the front of the figure facing the right side of the machine. Now you see that the majority of the warping is occurring on the front and left sides of the figure. Please don't mind the loop at the top of the head, I've been able to fix that on other prints. I'm most concerned with the fact that the sides facing the right and back sides of the 3d printer are consistently deformed. - I've readjusted the zaxis and leveled the bed several times and still these issues have been consistent throughout. One thought that I had was that the nozzle and extruder are not exactly perpendicular with the bed plane but I'm not so sure how that can be adjusted consistently. I'm referring to the extruder mount (3dprinted part) that secures the extruder/motor assembly to the x-axis railing. I'm sure there are many more settings I can try but i'm looking to see if any of you could help provide some guidance. Please let me know if any of this is unclear or if I haven't provided sufficient information. I'll try my best to clarify. Any advice would be really helpful! Simple enough, I can try that. 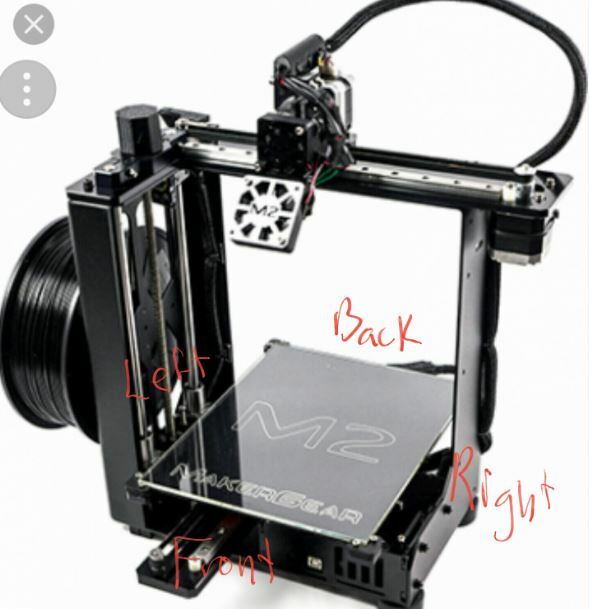 I did build an enclosure for the M2 and have been printing within that. Printing way too hot - what temp are you printing at? You should first try to print with .2mm layer. What are your fan settings?